57224 Summer Place Drive, Hatteras, NC.| MLS# 104711 | Outer Banks Homes For Sale, North Carolina Home Search Including Nags Head, Pirates Cove, Manteo, Kill Devil Hills Kitty Hawk, Southern Shores, Duck, and Corolla North Carolina, Oceanfront and Soundfront properties for sale and long term rentals. 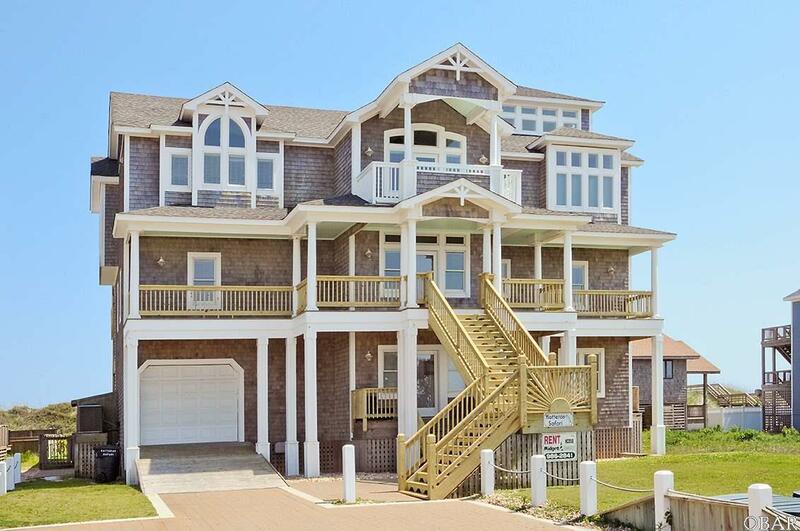 Great opportunity to own this massive 5500 sq ft home on the oceanfront . Custom built upscale Summer Place community; this spacious house has an elevator, hot tub, private heated pool, three levels of decks, panoramic views and very easy beach access, a concrete driveway, garage, fenced in green area, spacious game room , "bonus room" media room, with home theater system and surround sound, impressive great room with hard woods floors, comfy seating and fireplace.